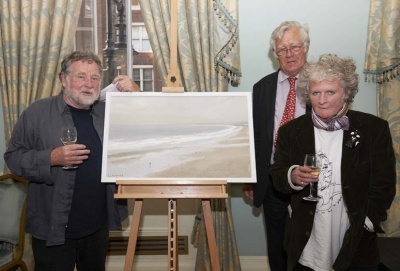 Malcolm Ludvigsen holding his sixth glass of wine in one hand and the £5000 check in the other, Richard Ingrams lurking in the background, and Maggie Hambling about to go out for a fag. She presented the prize. prestigious Abbott and Holder Gallery in London on the weekend of 21-22 June. significant “counterblast to the unmade beds of the YBAs”. and many other places, despite the artist only taking up painting ten years ago “for fun”. go, and I've not really stopped painting since. know what I’m looking for in a good seascape and it needs to be a pretty good one to impress me. As a prize for winning the OBAs, Malcolm takes home £5,000 provided by Ecclesiastical. of Abbott and Holder Gallery, and Clare Pardy, Fine Art Underwriting Manager at Ecclesiastical. books, great features, independent opinions and much more. 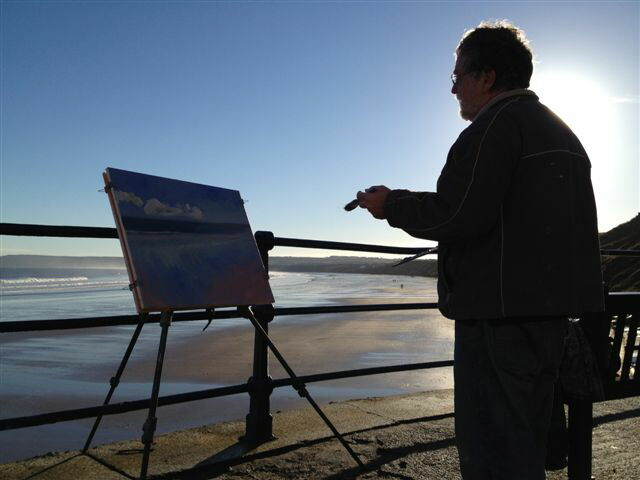 I am a plein-air oil painter best known for my Yorkshire seascapes and beach scenes. I believe that working outside, directly in front of the subject, gives my work a life and vibrancy sadly lacking in much of studio work. 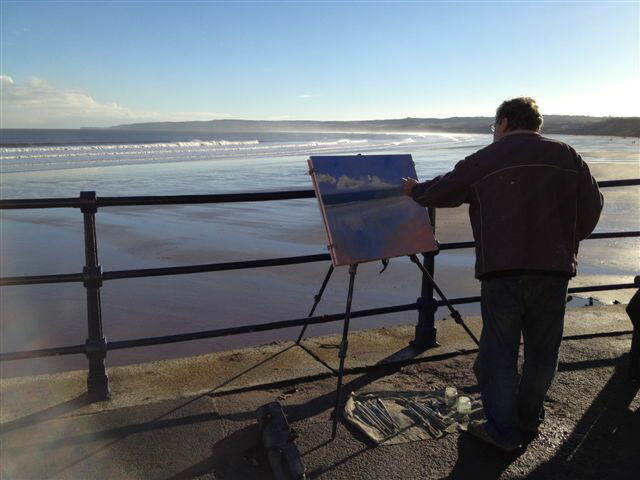 My paintings can be seen in homes and galleries throughout the UK and the USA - and many other places too. In 2013 I won the Oldie, £5000, British Art Award. As well as being a painter I am also a professor of mathematics, specialising in relativity and cosmology. About 10 years ago I took a sabbatical and started painting for fun. I think the thing that first attracted me was John Ruskin's exhortation that all men, as part of their morning salutations, should go out and paint a picture of the sky. This sounded like a very nice thing to do, so I decided to give it a go, and I've not really stopped painting since. My professorship is from the University of Linkoping in Sweden where I worked for several years. I also do some teaching at York University. My research work deals mostly with black holes, gravitational radiation and cosmology. I am the author of quite a well-known book called General Relativity - A Geometric Approach, published by Cambridge University Press (also available in a French translation with a preface by Sir Roger Penrose). I find little incompatibility between my mathematical work and my painting: both are based on geometrical intuition, one internal the other external. I live and work in York.